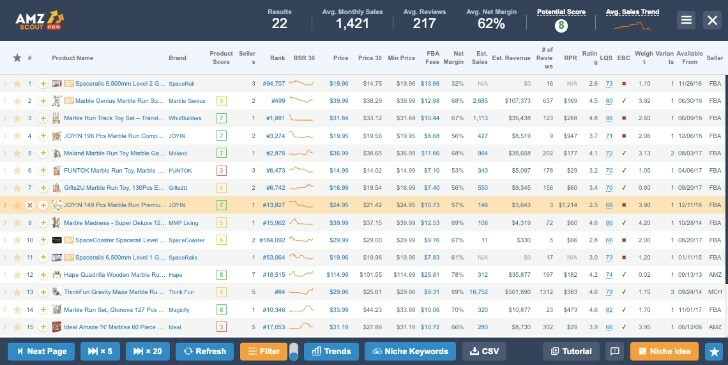 Camelcamelcamel is a price tracking tool that is helpful to both sellers and buyers on Amazon. Understanding the history of pricing and offers for items, which is available via the camelcamelcamel app and camelcamelcamel Chrome extension, is key to deciding if you’re purchasing things at the lowest prices. For a seller, it allows you to see the sales trends, so you can make sure you’re not jumping into a niche with product prices in the midst of bottoming out. It can save significant money for buyers and sellers, and is a vital Amazon selling tool. We will explore how camelcamelcamel tracks price, and how you can use it to your benefit. Camelcamelcamel tracks prices and offers on Amazon. Depending whether you install the Chrome extension or use the website, it determines how you will see the information. You get to see price history charts for every product on Amazon, and by using the app you can automatically see it on each product page. Similarly, you can setup price alerts. Once you get the camelcamelcamel extension (The Camelizer), you will see a graph like the one below. 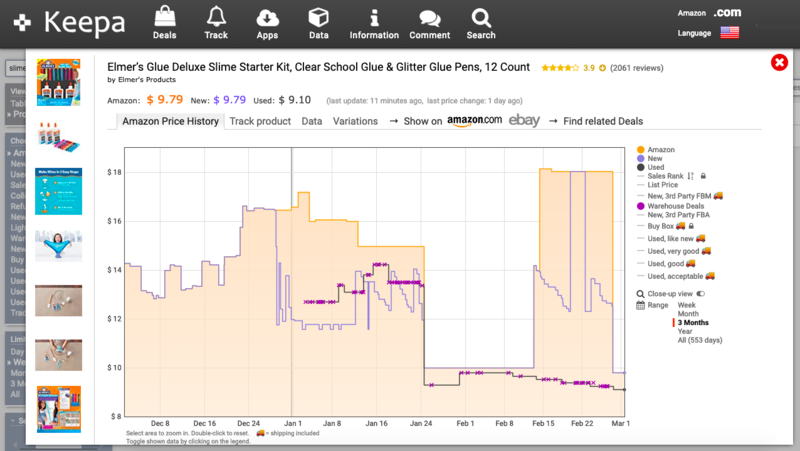 This displays data on pricing from Amazon (as a sales entity) but also 3rd party prices, for both Used and New prices. You can decide between one month, three months, six months, and a full year, to explore how that price has changed over different time periods. Additionally, at the bottom of the chart you can see the current price, highest price over your selected time frame, lowest price, and even average price. You can see when each of these high and low prices were set. 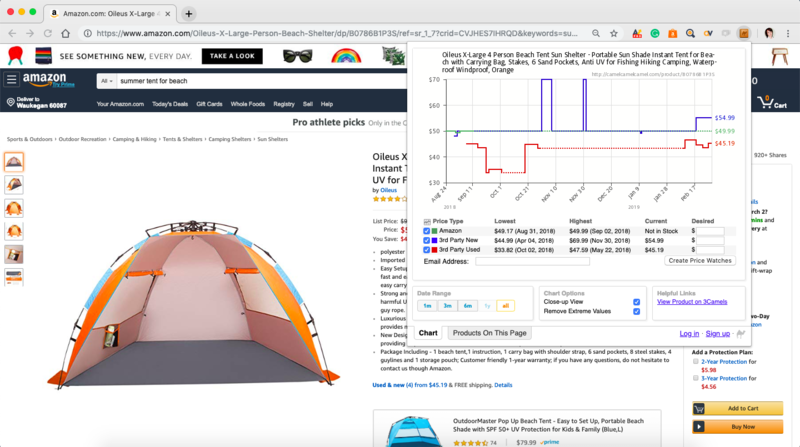 This will show you the trends for a product pricing, and help you make the right decisions on whether to sell an item through your Amazon account. You can sign up to receive alerts from camelcamelcamel, but luckily this is an optional feature. You can use this price tracker without actually registering or signing up for anything, which is great for Amazon sellers looking to preserve anonymity. Camelcamelcamel is available with either a website or through the Chrome extension. You can use without registering or signing up. There are some benefits to fully signing up. Specifically, once you are registered you can set up watchlists to keep track of some of the most important products you are keeping an eye on. While camelcamelcamel is a great tool, it is only one of many. Keepa price tracker tool is a Cdhrome extension that serves a similar function. One benefit of Keepa is that it also gives data on Amazon Bestsellers Rank over time. This means you can see the seasonality of an item, and also get a general feel for sales. These tools all pair very well with a greater suite of tools found through a program like AMZScout. AMZScout allows you to use the data on product sales, such as the BSR which is found through Keepa, and give accurate estimates for sales and revenue. All these tools complement each other wonderfully, as camelcamelcamel and other price trackers give you a micro level lens at a specific product within a niche, while AMZScout helps give you information about the niche as a whole. One of the other benefits of camelcamelcamel is an international appeal. It can be used in a variety of countries, providing data and pricing history based on the specific market. This can be great for Amazon sellers that sell in multiple international marketplaces. You can use the price tracker to learn about prices for your international sales dreams. Camelcamelcamel is a great tool that can complement your Amazon seller toolset. Used in concert with a tool such as AMZScout, you will be prepared to find the best possible products to sell, and know when they will sell best. You will be able to make informed decisions about how much you can afford to spend on potential items, and can know how much you can stand to make in profit. Camelcamelcamel and AMZScout Chrome Extension both can upgrade your Amazon Selling Account and increase your selling revenue. If you have any questions or comments, please reach out to us and we can help you! Let us know via email or in the comments below.